There's a good chance you don't know this about me, but I spend more time than I should browsing the web for design and architecture news and goodies, those kind of wonders that have a special place in my heart and that are so staggering to look at. 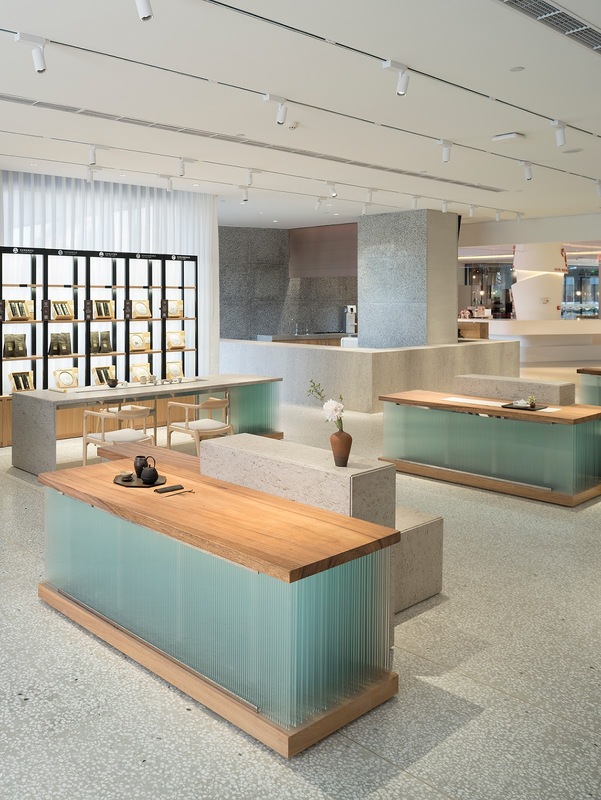 That's why I was just in awe when I came across the new TEA MASTER teahouse in Hangzhou, China. 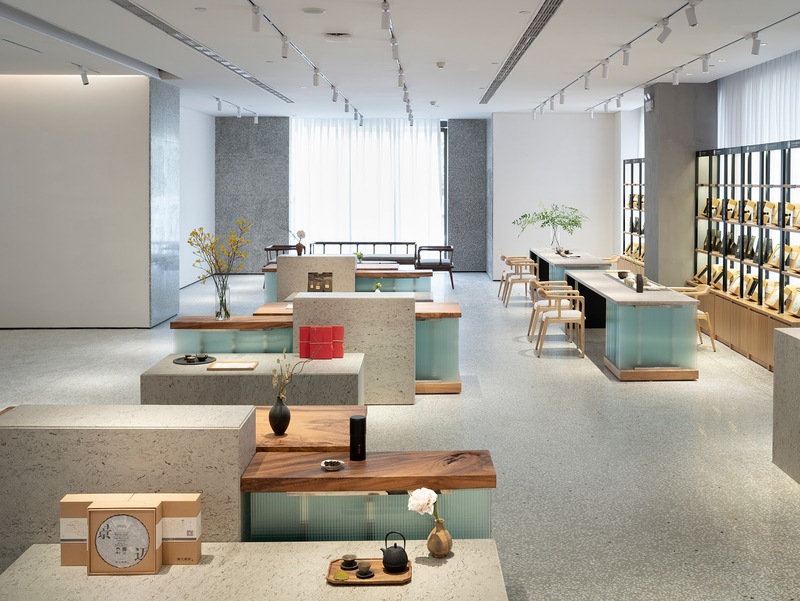 Known for specialising in pesticide-free tea, TEA MASTER stunned with a new design of their modern teahouse in the busy and populated city of Hangzhou, the capital of the Zhejiang province in eastern China. This area is widely known for the West Lake, a UNESCO World Heritage Site, and one of its most sought after attractions, bestowing it with beautiful backdrops and hilly landscapes, as well as terrace farms and steep hills covered by their Long Jing tea — this ultimately inspired the Japanese studio kooo architects, who worked on the design project. 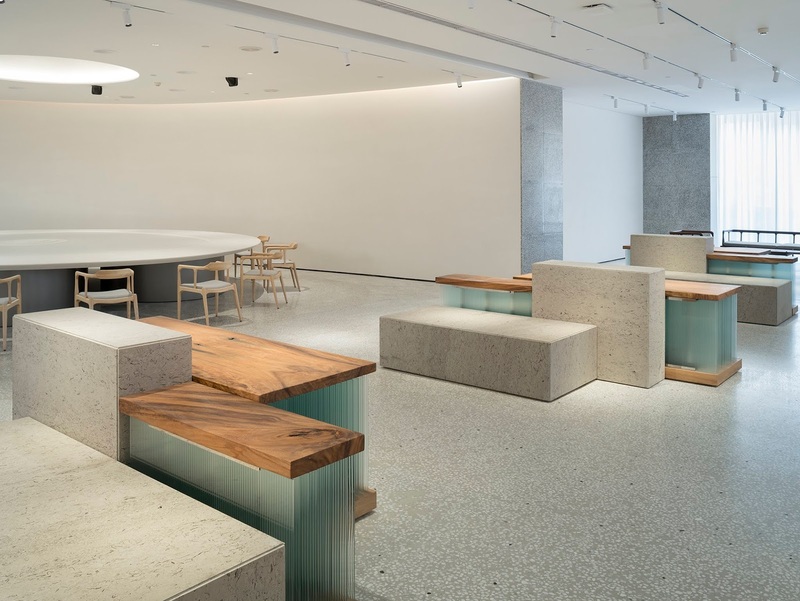 The custom made furniture is a sight for sore eyes, as the studio resorted to Cinderella marble, corrugated and frosted glass panels, and wood to showcase different heights, as the mountains do, too. 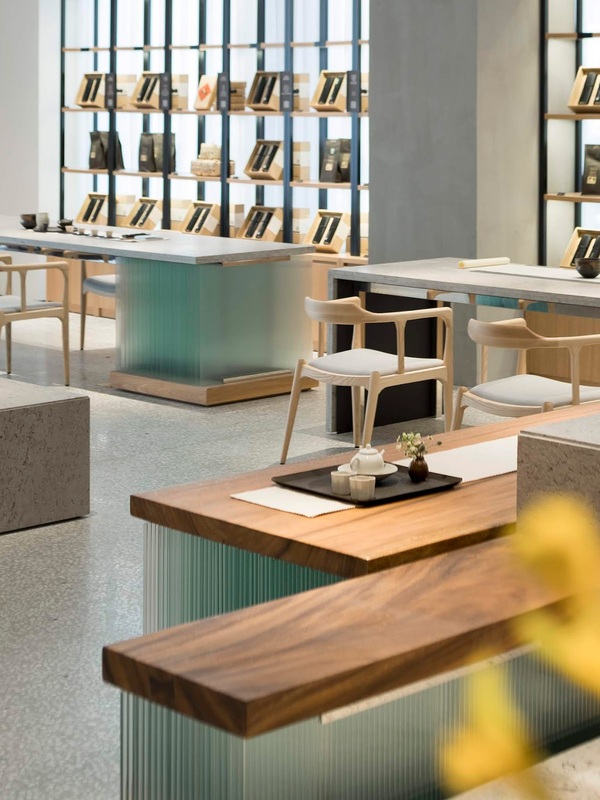 The space left out in-between the several sitting areas was thought to accommodate all the customers in a more comfortable, pleasant way, as TEA MASTER is located in a very lively neighbourhood. 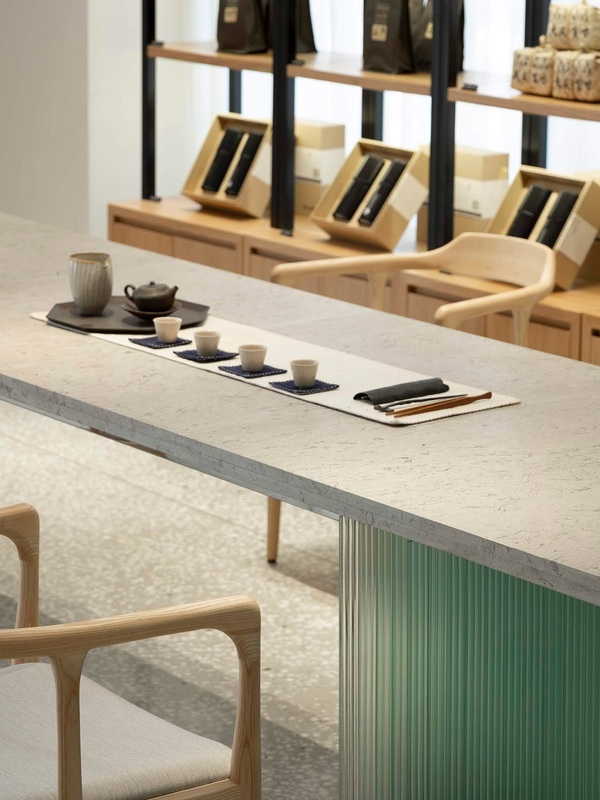 This adds to its lightweight look and feel, setting all the attention on its crown jewel: tea. 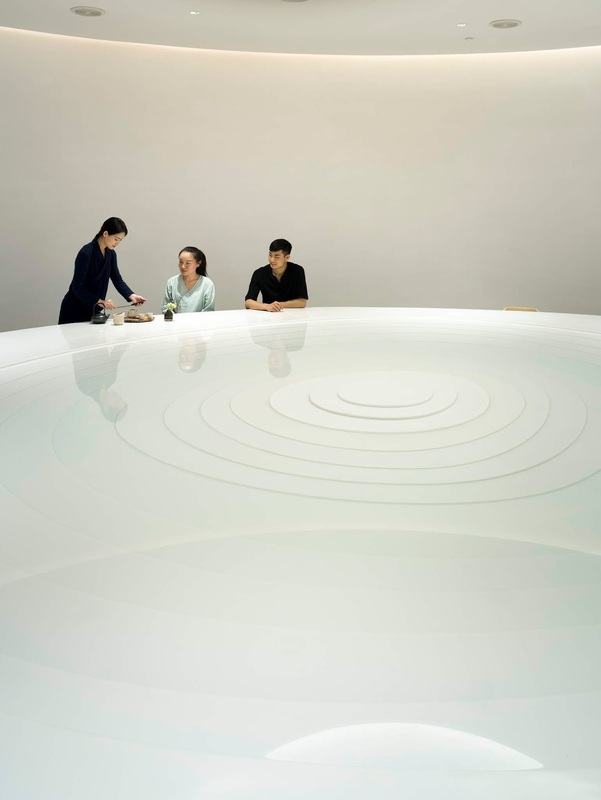 In a more secluded area of the teahouse, we can also find the most beautiful round table you've ever seen, created using layered marble that simulates the topographical changes of terrace farms, in which water was inserted to create additional depth.